Creating cartoons or avatars from one’s photos is fun especially when you want to use them as profile pictures on various online services. Since adding effects to images is quite popular a number of websites providing this service have cropped up in recent times. In this post, we have compiled the most popular services that let you cartoonize your photos and create your own avatar. PickaFace helps you create cool avatars from your photos where you have 550+ design features to apply to your pictures. You can connect with your friends, write comments and “like” their avatars. It is a cartoon avatar maker where you can create a custom cartoon avatar in just a few minutes, be a part of a community and get some brilliant new ideas. There are other advanced features that you can get access to if you are a registered member of PickaFace. 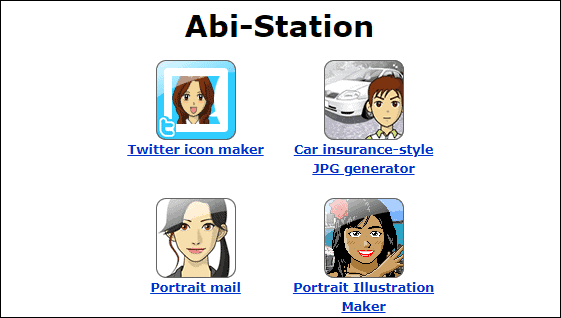 Registered users can create and manage a gallery of their unique avatars. Plus, you can design new avatars based on your previous work without having to start from the scratch that ultimately saves you a lot of time. Portrait Illustration Maker is a service which allows you to create character icons for free. 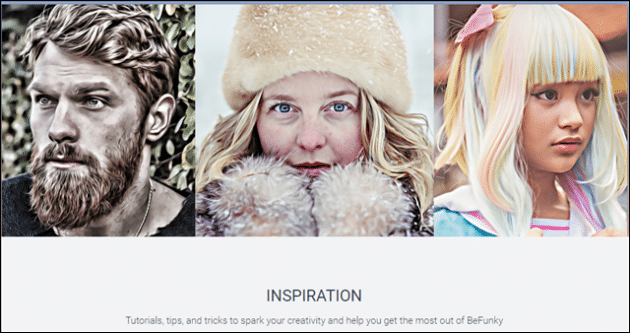 BeFunky is an awesome photo editor that simplifies the process of photo editing and effects for everyday people. You can use a number of incredible apps featuring hundreds of easy-to-use tools that don’t require any technical knowledge. Create cartoons from your photos using the Cartoonizer service. Upload your photos to BeFunky for editing or use photos from sites like Flickr, FaceBook and Photo Bucket by specifying the URL. You can use JPEG, GIF, and PNG file formats. 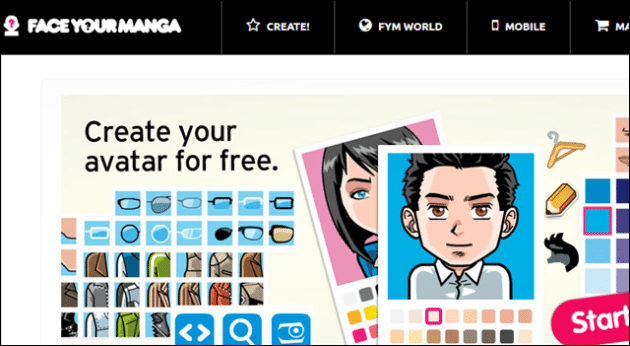 Face Your Manga allows you to create an Avatar for yourself in an absolutely free, easy and quick way. Receive the Avatar in your e-mail address. You will be able to use it with the most common Instant Messaging Programs, on mobile phone, Forum, mySpace, Chat, Blog and wherever you want in the virtual world. For the South Park fans, create your own South Park character using this service. 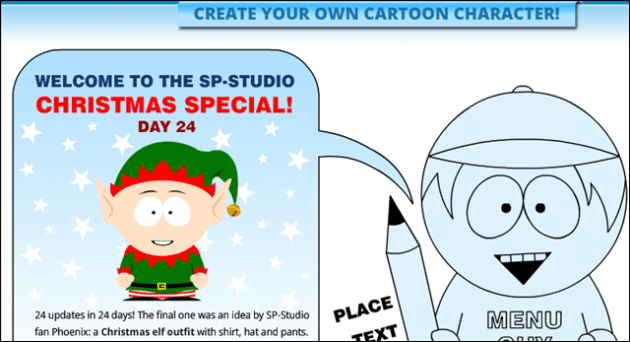 This avatar creator is provided by the Southpark studios themselves, so you would find a lot of options for creating South Park related avatars here. DoppleMe is another service that will let you create simple avatars in a jiffy. You need to register to save your avatar. Registration also gives access to more items and expressions for your avatar. Convert a photo to cartoon and make a caricature of yourself using cartoon.pho.to. Just upload your portrait photo to the service and get a number of breathtaking face changes: face morphing, changing facial expression and facial animation! You can apply realistic emotions to a face, make caricature effect and convert a comic face photo to cartoon for free. Can’t get enough of South Park? Here is one more South Park character creator for you. Create custom South Park characters and share them. This is another service that lets you create South Park avatars. This is just as good as the one mentioned above. This is the simplest way to apply cartoon effects to your photos. Just upload the image you want or enter the URL of an online image. Once the effect is applied you can download the image in JPG format. OSOQ, which a short form for Oh So Cute! is yet another awesome option to create your own avatar from your photos. It is super easy and needs a few clicks to get the really cool result you were hoping for. OSOQ allows the user to depict a story using your pictures. It comes with three paid version; Individual, Couple, and Group. You can use these incredible creations to gift someone either on their birthday, Christmas or any special occasion. If you are running out of the ideas to buy a surprise for someone, this might be a great option. When it comes to cartoons, especially one that is well designed and looks like the person you are intending to gift it to, age is no bar. Another great option that this site provides is that they create special custom cartoon designs for individuals, families or teams at an affordable rate. 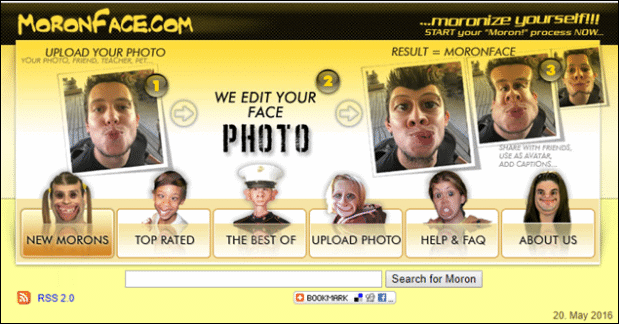 MoronFace has a user-friendly interface that makes it easy to create unique cartoons from your photographs. It lets you make the funniest form of your images. Plus, you can directly copy and paste the “moron photo”, which is how these avatars are called, to your blog or web pages. There is a URL below every image which you can copy and paste wherever you want, for instance, on your website, social media profile or a blog. You can share the photos on Reddit, Facebook, StumbleUpon and other platforms since they have made it easy to share your newly minted cartoon photos. Photolamus is another great realistic avatar creator your photos to caricature. 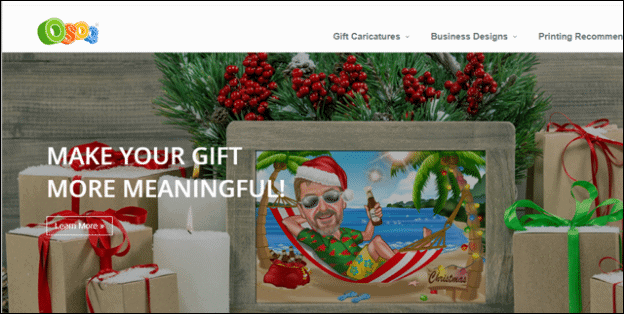 It allows you to get 100% hand-drawn caricatures from real artists. Unlike some other services mention in this article, this service has a number of artists who create the caricatures manually. It delivers JPG, photocopy, canvas, original A4 images. You can have Digital Drawings, Pencils Drawings, Canvas Prints, and Printed Drawings. 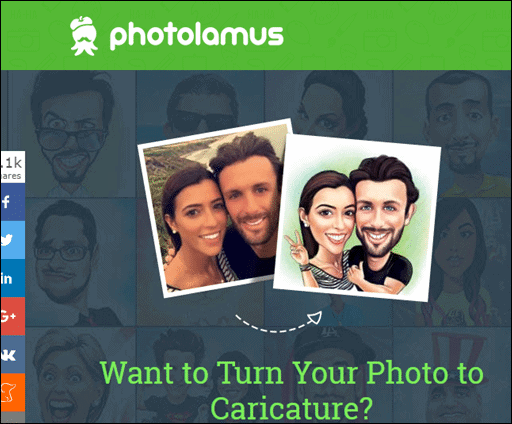 Plus, Photolamus also delivers some of the prettiest Romantic Caricatures, Super Caricatures, and caricatures related to Hobbies, Professions, Cars, and Motorcycles etc. The pencils styles are drawn on A4 paper, and digital styles are drawn on a graphics tablet in Photoshop or Illustrator. If you are looking for realistic character creator online for free, you must explore this option. Using AnyMaking, you can apply various fun photo effects to make your photos more interesting. It is a free online photo editing software that helps you make artful and funny photos with its fun editing tool. It just takes a few clicks and minutes to turn your regular photos into beautiful artwork. 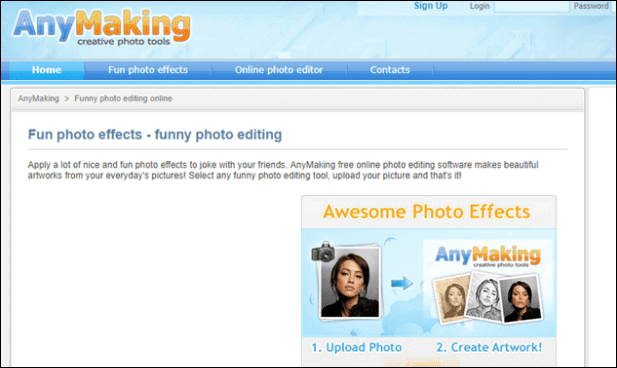 AnyMaking is also a free and full of features photo editing tool that allows you add various interesting editing effects on your photos. Kusocartoon helps you cartoonize yourself, make avatars and create interesting collages. To cartoonize your photos simply select a style you like, upload your picture, wait for photo effect conversion and download it. Cartoonify allows you to quickly create an avatar from photos online without having to install any software. It comes with more than 300 graphic design options that will truly make your avatar unique. It is fairly easy to use and also works fast. You can choose the looks for your face, hair, eyes, clothes an even background. 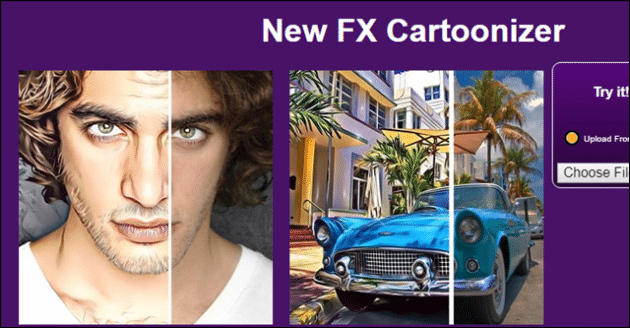 To make the cartoon of your own photo, family or friends photo, you have to go for Premium Cartoon that allows you to select your favorite photo and convert it to a new and cool cartoon avatar. 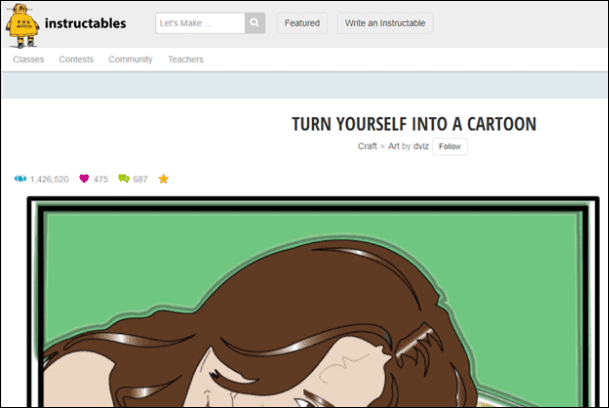 Instructables is one of the best avatar websites that helps you turn images to cool looking cartoon with a few simple steps. If you cannot draw, there is an illustrator with which you can use the auto trace tool, and it will capture the necessary details for you. The first step is; find an image (the one you want to convert), and it should be at least 300 dpi. Then, choose the compatible image format from .jpg, .ttf, .giff, .bmp, etc. You can add color to your creation by using gradients or several layers of color. Then, finally give it a finishing touch by adding background and borders and voila you have a brand new cartoon avatar that you always wanted.